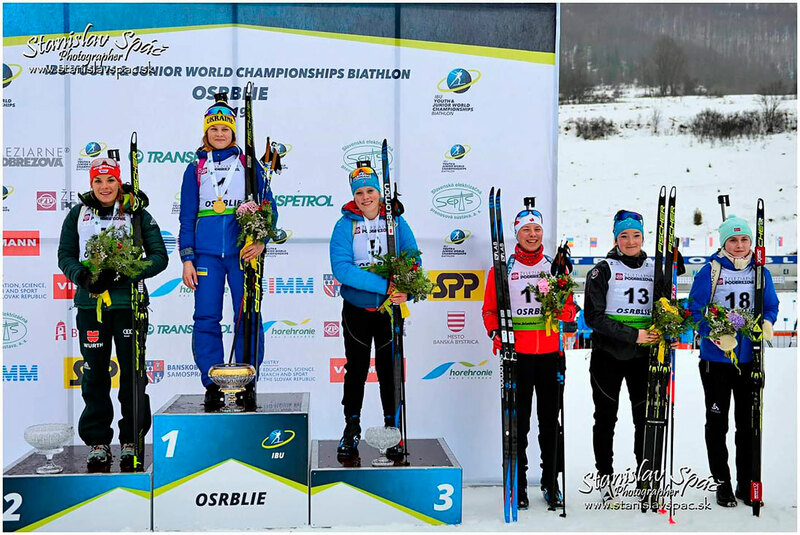 Whitehorse biathlete Nadia Moser just missed the podium Sunday at the World Junior Biathlon Championships in Osrblie, Slovakia. The 21-year-old said via email Wednesday her shooting was not her strongest through the five days of the championships, though she was happy with her skiing. In Sunday’s 10-kilometre pursuit race for junior women, Moser finished fourth in a field of 55 competitors. She was 28 seconds off the time of 31 minutes and 24 seconds set by of gold medalist Ekaterina Bekh of the Ukraine. Moser said she doesn’t have a race right now that is stronger than others but the pursuit is one of the fun events. “I missed a few too many targets this race,” she said of the pursuit. “But I managed to ski decently enough to still move up my placing. Earlier in the championships in the 12.5-km, Moser finished 18th in a field of 90, three minutes and 22 seconds of the first-place time of 40 minutes and six seconds by Fanqi Meng of China. In the three by six-kilometre relay event, Moser and teammates Emily Dickson and Larissa Black put Canada in ninth place out of 25 teams, finishing two minutes off the gold medalists from France. Moser finished Saturday’s 7.5-km for junior women in 15th from a field of 90. The Ukrainian Bekh won the event. Moser was the top Canadian in all the individual races. The Whitehorse biathlete is now resting and training in Poland to prepare for the upcoming Open European Championships beginning Feb. 15 in Belarus. Her season goes until the end of March.